Why do you say that jamaicans speak creole? 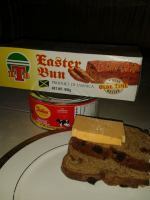 It is not true because I am Jamaican and I know that that is not true, so please get your facts straight. "In general, a Creole language is a defined and stable language that arises from long-standing contact between two or more distinct languages. Prior to “creolization,” a rudimentary contact language is known as a pidgin. Typically, with Creole languages there are many distinctive features that do not derive from any of the parent tongues." "A creole language, or simply a creole, is a stable language that originated from a mixture of various languages. The vocabulary of a creole language consists of cognates from the parent languages, though there are often clear phonetic and semantic shifts. On the other hand, the grammar often has original features but may differ substantially from those of the parent languages." And clearly, the unique blend of European, African and Asian cultures and languages has greatly influenced our now "Jamaican" language, which by the way, is something we should be very proud about. Yes we do speak Creole. In fact, although the majority of Jamaicans perhaps can, and do, speak English perfectly, we use, and are probably more comfortable with using the creole version in our informal and casual associations. Having said that, I learned about a huge interest to formalize this 'creole' and make it our official language; I remember hearing Mutabaruka on the radio speaking to that sometime ago. Let's wait and see how that goes. 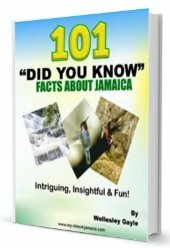 Make sure you read the History of Jamaica for a little background. I hope the clarification helps. Stay in touch.